Made from the same forgings and shared design as the normal GA1R, the Open Lug Version has even more material machined from the centre area for additional weight reduction and improved access to the lugs as well as the omission of the centre cap. Depending on size and offset, these changes can save an additional pound of mass from each wheel! The GA1R Open Lug is designed for racing. It is engineered with a 2100 lb. street-tire load rating (per wheel) to ensure strength and integrity, even when subjected to the massive loads encountered on the stickiest race tires. 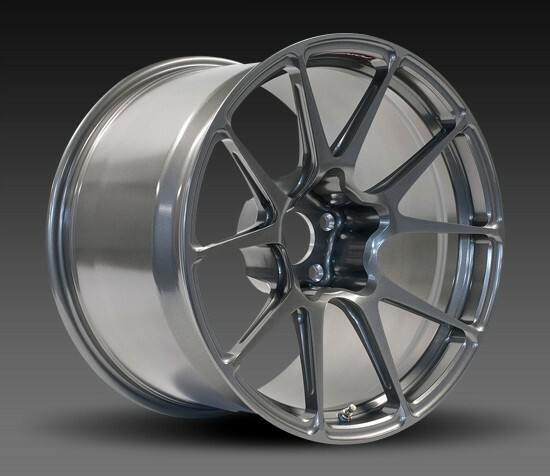 The GA1R Open Lug is produced using our traditional forging method from 6061-T6 aluminium. It is currently available in 18, 19, 20, and 21-inch sizes with a range of widths and offsets. (Please Note: Depending on size, the GA1R Open Lug may be available in deep, medium, or shallow concave profiles. See sizing chart for details.) 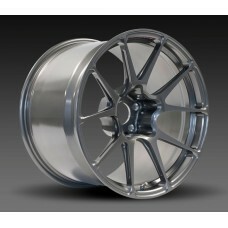 And just like any Forgeline wheel, the GA1R Open Lug is available with fully customizable finish options. Note: This version will NOT accept a centre cap. Recommended for track use only. Open Lug version will NOT accept a centre cap. Recommended for track use only.